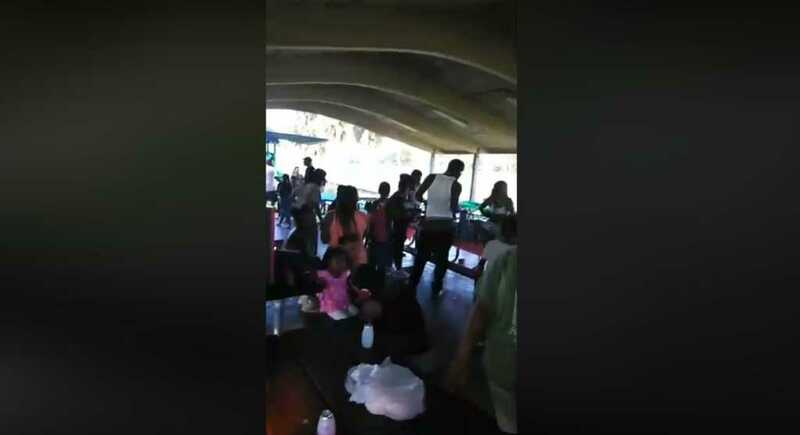 An armed bystander prevented a likely tragedy after skillfully firing at a man who had begun unloading rounds at a back-to-school cookout in Titusville, Florida. According to the local police department, two men got into a fist fight at the event on Saturday, before one of them left, later to return with a firearm. The man began shooting, despite there being hundreds of people in attendance, including many children. At this point, people dived for cover to evade the rapid succession of gunshots. But one armed bystander decided it was time to end the mayhem, drawing his firearm and taking the assailant down in a matter of seconds. The gunman was severely injured in the incident and was airlifted to hospital for emergency treatment. Local DJ Dwight Harvey was at the event and even managed to capture the ensuing chaos on his phone camera. “I thought to myself, ‘did this just happen?’ People were taking cover, everybody was scattered,” he added. Nothing but GOD PROTECTED THOSE KID'S. LORD I THANK YOU FOR DAT !!!! Harvey noted the dreadful irony in the whole situation — the community was rallying together after his own cousin, 38-year-old Tony Butler, was found dead in a burned-out car last month. As for Saturday’s violence, Harvey explained how he managed to capture the whole thing on Facebook Live. “I was Facebooking live, just enjoying the scene,” he said. But just moments after the gunfire rang out, Harvey noticed two young children who had been separated from their grandmother as everyone scrambled for cover.